Back in the Middle Ages, Gouda became a thriving city due the location where the Hollandsche IJssel and the Gouwe merge. 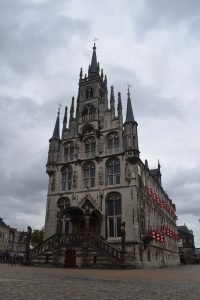 The strategic trading position made Gouda a wealthy city, where the textile industry, beer brewing and eventually cheese trading quickly developed. Several buildings of this prosperous time have been preserved in the historic city center, such as the Sint-Janschurch, the longest church of the Netherlands, and the Old Town Hall that was finished in 1459 which is one of the oldest gothic city halls in the Netherlands. 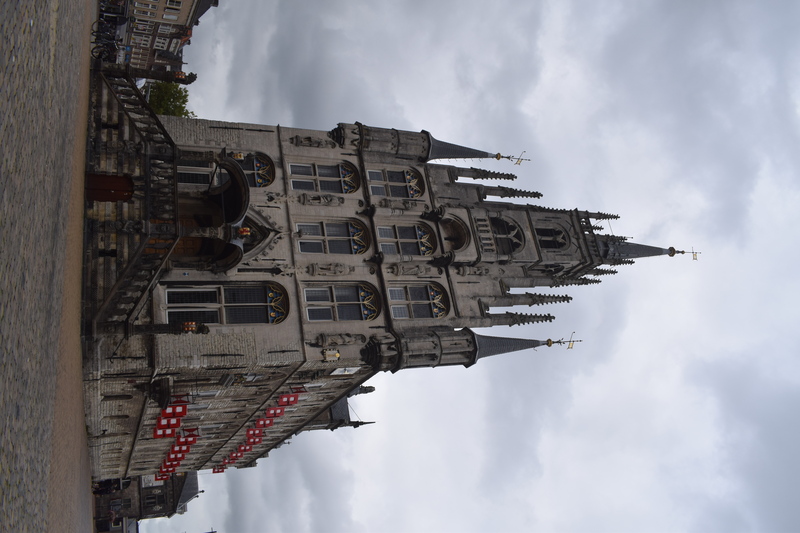 The Old Town Hall is famous around the world and draws a lot of tourists to Gouda every year. 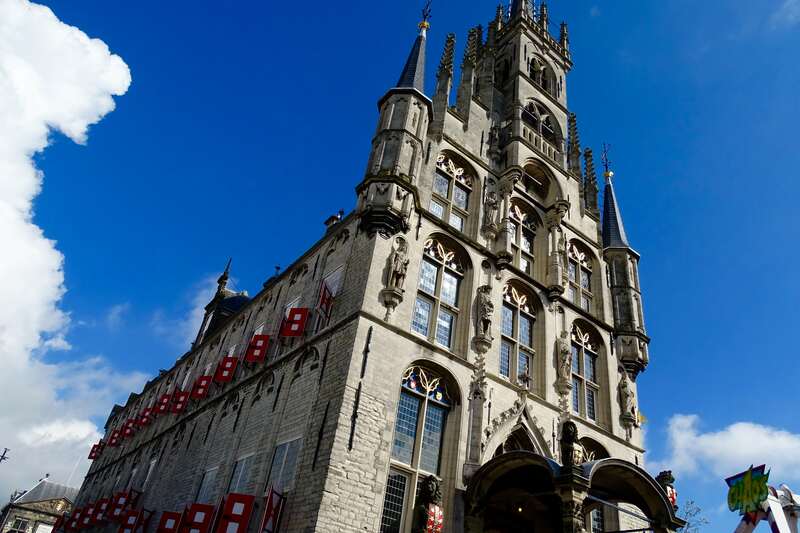 Apart from the historical heritage Gouda is also well known for its syrup waffles, candle making, Gouda faience, pipes and the annual Candle Evening. This is an event on which the candles in the enormous Christmas tree in front of the City Hall are lit, as well as thousands of candles in the surrounding houses. But most of all is Gouda known for its cheese, known as Gouda cheese or just Gouda all over the world. However, syrup waffles are gaining terrain on global popularity. Which we can understand. 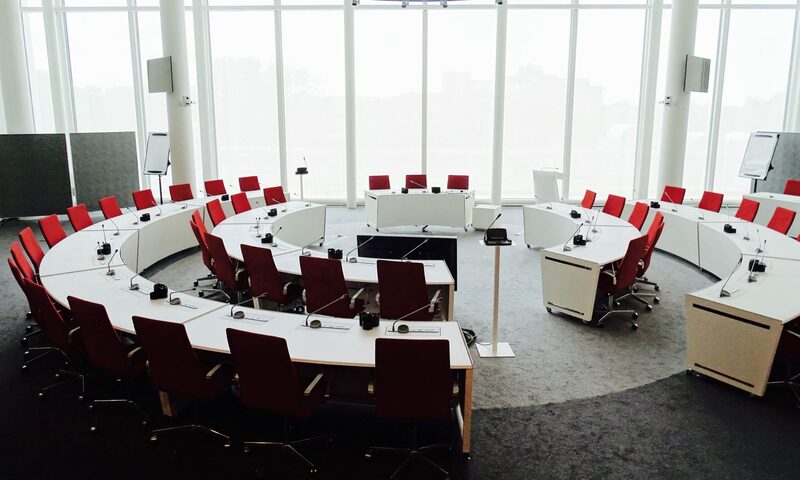 Gouda has been the home of many memorable people, who were born or were moved to the city, such as Desiderius Erasmus, who moved from Rotterdam to Gouda where he studied at the parish school, the forrunner of the Latin school of Gouda and the Coornhert Gymnasium after that. Erasmus was known as a great humanist. He pleaded for freedom of religion, science, ideas and for people to think for themselves. Also Dirck Volkertszoon Coornhert, after which our school, Coornhert Gymnasium, is named, lived in Gouda. He also was a famous humanist and renaissance thinker. He is buried in the Sint-Janschurch. 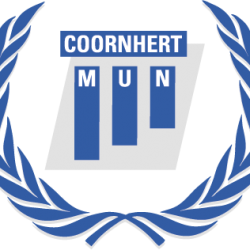 Moreover born in Gouda were the brothers Cornelis and Frederik de Houtman who where the first Dutch men to sail to the Indies.